You know your motorcycle mirrors have blind spots, but even if you turn you head all the way around like Linda Blair in the movie Exorcist your mirrors still have blind spots. Why are Maxi View blind spot motorcycle mirrors the worlds best? The simple fact is the blind spot on all motorcycle mirrors is the driver, yes, YOU, and Maxi View makes the driver invisible! If you think they are great Blind Spot Mirrors on your bike you should try them on your car, truck, and van. Learn why Maxi View Motorcycle Blind Spot Mirror is effective. Watch how easy to use Maxi View Motorcycle Blind Spot Mirrors are. Why should you buy Maxi View Motorcycle Blind Spot Mirrors? Because of our exclusive adjustability, the MAXI VIEW was specifically designed to be placed in the upper inside corner on both side mirrors. That is where all mirrors must show some sky. The only part of the mirror on every motorcycle that drivers DON”T USE. stitches. It will outlast the life of your motorcycle. The best part of this space age adhesive is: when you know the secret of removal, you can move them from motorcycle to motorcycle. "THE WORLDS MOTORCYCLE BEST BLIND SPOT MIRROR SYSTEM"
3. Are the mirror interchangeable between motorcycles? The mirrors were designed to be a permanent installation, but they can easily be changed to another motorcycle with our transfer kit. This mirror is perfect for you. Only Maxi View Motorcycle Blind Spot Mirrors have enough focus (fully adjustable) to over come extra small side mirrors. Why Maxi View Motorcycle Blind Spot Mirrors? 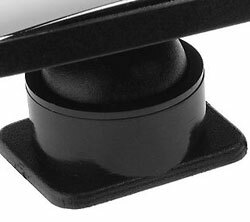 Maxi View Motorcycle Blind Spot Mirror attaches quickly and easily to any motorcycle’s side mirrors. 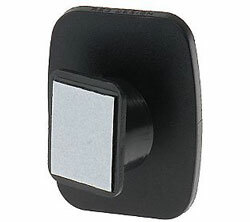 The unique ball swivel allows it to be adjusted to suit any driver’s viewing position and maximizes the view from both side mirrors. Only Maxi View will never block your vision. Maxi View was specifically designed to be placed in the upper inside corner of both side mirrors. That is where all mirrors must show some sky. The only part of the mirror on every motorcycle that driver’s don’t use. Optically engineered, Maxi View Motorcycle Blind Spot Mirrors have been successfully tested on California’s freeways and the Autobahns of Europe, proving that they provide expanded distortion-free vision. Allowing you to easily see double the view normally seen in your regular side mirrors and 3 times larger view then other stick on mirrors. Maxi View Motorcycle Blind Spot Mirror Material: Maxi View Motorcycle Blind Spot Mirrors are precision-made of high-density Nylon-6 and Chrome ABS, among the most durable and lightweight engineering materials known. Maxi View Motorcycle Blind Spot Mirror Installation Bonding Strip: Maxi View Motorcycle Blind Spot Mirrors are installed by means of a NASA-developed super-strength all-weather bonding strip which attaches easily and firmly to your mirrors in seconds. No tools are required. Maxi View Motorcycle Blind Spot Mirrors show a GIANT PICTURE in a small mirror because the curvature on the face of the mirror is the same as an 8 1/2" truck mirror. The "fisheye" mirror distorts and decreases the size of the image. Only Maxi View lane change mirrors will never block your vision because of its exclusive adjustability. Maxi View mirror was designed to be placed in the upper inside corner of both side mirrors, where all mirrors typically show some sky. Its the only part of the mirror on every motorcycle that drivers don’t use. Only Maxi View has a super strength all-weather bonding strip. This highly advance adhesive was recently developed for instant battle field surgical stitches. It’s sure to last the life of your motorcycle and if you get a new motorcycle NO WORRY. The secret to removing the mirrors come in your product instructions. The best part of this space age adhesive is you can move your Maxi View Motorcycle Blind Spot Mirrors from motorcycle to motorcycle. Maxi View has a stylish custom-look design complements the aesthetics of any motorcycle, even the most expensive motorcycle.